We planned, we trained, we rode, we filmed and last week we projected our story on to a large screen in front of 300 people. 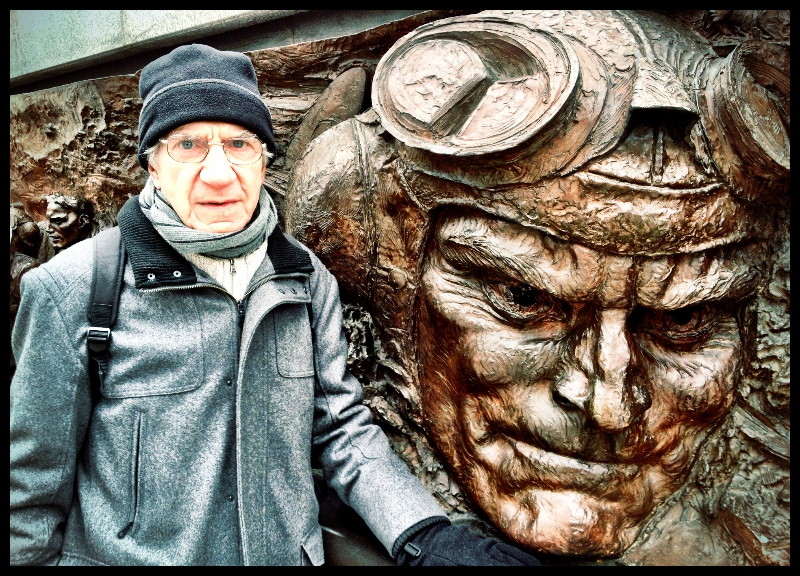 We held nothing back – balls to the wind – the good, the bad and the ugly were on display for all to see and ponder. We are not actors and we didn’t have a script. It was just our life in the raw. I was terrified and had no idea if this movie was offensive, boring or inspiring. But once the lights went down, there was no place to run and no place to hide. And as the credits rolled off the screen, I strode to the stage, faced the audience and picked up the mic. I need not have worried, our immediate universe balanced the equation sending us a roar of applause and love. The stage was now set for my brother to share his brilliant mind with the world. 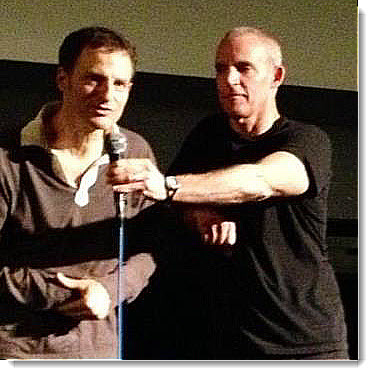 His hands trembled as usual, but I held the mic for him and the questions started flying. They loved him. Standing under the glaring lights watching my brother hit his stride, I felt both the culmination and the beginning of our adventure approaching. It was a moment of rare perfection filled with enough cumulative energy to briefly transform the theater into a power plant. 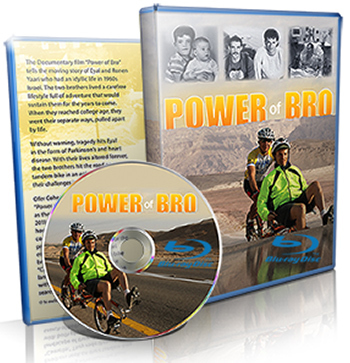 So if you couldn’t join us, but need to power someone you care about, check out our new web site, order the Power of Bro DVD — created by filmmaker Ofer Cohen — and spread the love! Thank you for all the support and love. Onwards to 2013!